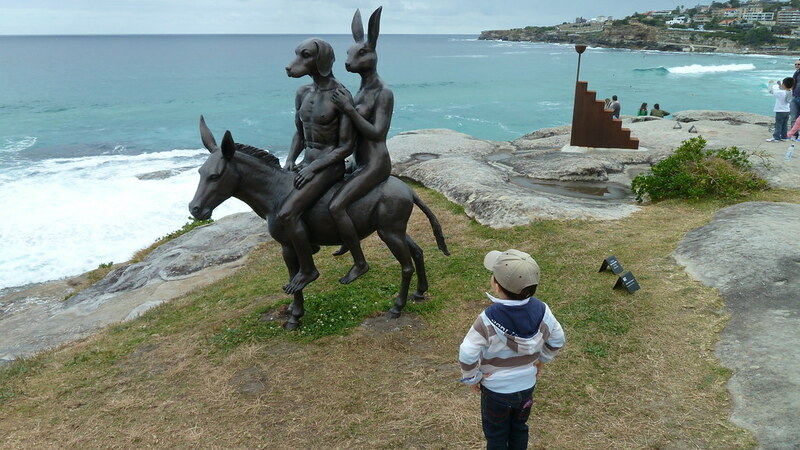 Sculpture by the Sea is back once again in Sydney, celebrating 20 years. If you have a love for art and culture, then this event is not to be missed. Free and open to the public, it is Australia’s largest annual outdoor sculpture exhibition. It is one of Sydney’s most enjoyed events, growing bigger and better with each passing year. Held in the season of growth, it is a great way to kick off the warmer months. Held on the 20th October to 6th November, this event entices quite a crowd, so make sure you plan early. This 2 kilometre long coastal walk can be started at Bondi and goes all the way to Tamarama beach or vice versa. The walk can be easily accessible at any point from the various steps and stairs. The leisurely walk boasts a playful and spectacular environment where the whole family can enjoy. The visual art Sculpture by the Sea exhibition displays art works from over 100 Australian and international artists. Expect to see unique surreal, abstract and contemporary works of art, some will be serious, others will be random, quirky or weird and others will be simply beautiful. But it will inspire, evoke and definitely trigger some discussion. Along with these statues, you can also enjoy the breathtaking natural seaside views of Australia’s south-east coast. Each area of the walk has a different backdrop, creating a different theme to convey a different meaning. This lets the artist express their artwork at every angle possible and from any distance that an indoor exhibition is limited to. HOW DID SCULPTURE BY THE SEA ALL START? David Handley, founder of Sculpture by the Sea was inspired by an outdoor sculpture park in Northern Bohemia. Bringing the concept back to Australia, he considered to have more than just sculptures, but artworks and paintings alike. His friends suggested the Bondi to Tamarama coastal walk. However being in close proximity to the coast, weather can be unpredictable, so only sculptures were accepted. The first ever Sculpture by the sea showcased in 1996, gathering over 20,000 spectators and a lot of media. Featuring 64 artistic statues, it had reshaped the 2km long coastal walk into a seaside art and culture exhibition. Many brands had sponsored the awards in the past years, with minor prizes and exceptional prizes of up to $70,000. Seeing both man-made sculptures and Earth’s naturally made landscape together is truly an amazing sight to see. The weekends will be very busy, so if possible try to go on a weekday. Parking will be very limited, with public transport being the best option. Catching the bus from the Bondi Train station or area would be ideal. After or along the exhibition, take a dip into the glistening cool blue waters of the beaches and soak in the sun. There are also many pop-ups, cafe’s, restaurants and shops along the way. 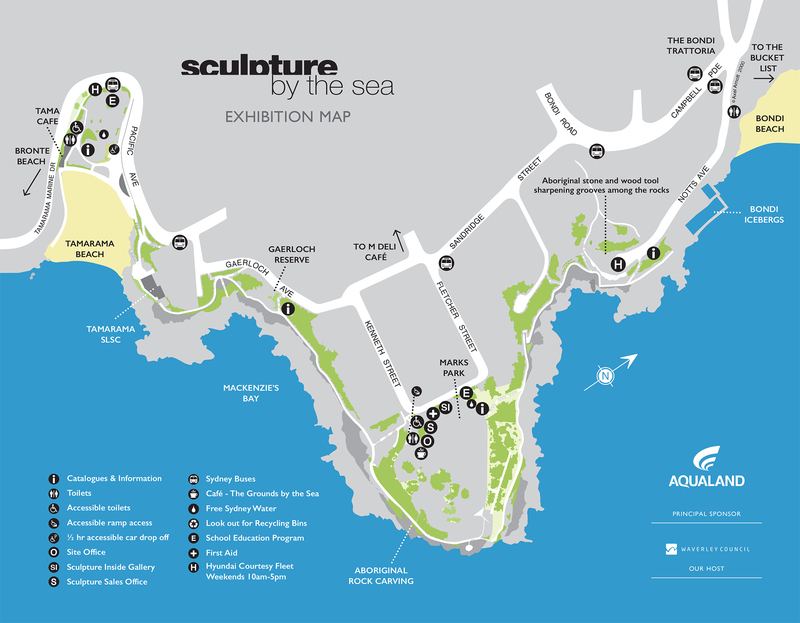 So check out the exhibition map and go and take in the ocean air, slap on some sunscreen and celebrate the best of what Sydney has to offer at Sculpture By The Sea – Bondi.